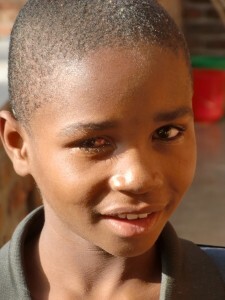 Tikale had a traumatic cataract in his right eye. 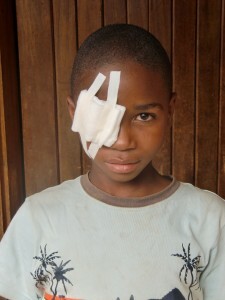 He was trying to get through some bushes to cross a road, when one snapped back and caught him strongly in the eye. Within a week his vision clouded over, and by the time a month later when he made it to the hospital he was blind in that eye. We operated and successfully implanted an artificial lens. Tikale stayed with us in the hospital for nearly two weeks after surgery, so we could get all the drops in his eye, and check his vision regularly. 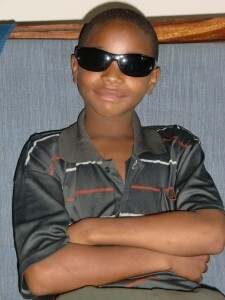 He enjoyed hanging out at the hospital, and made a lot of friends as he was so full of renewed energy! On the same day a team went out to visit the villages, and drop off Tikale and his family, Sam spotted an elephant youth. There used to be families of elephants roaming the Linthipe valley near Nkhoma even as recent as 25 years ago. They have all moved on now. We are blessed that there are still one or two around! 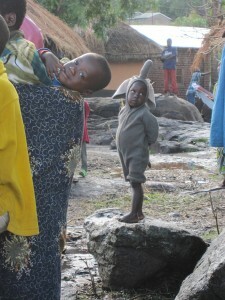 From the team at Nkhoma and on behalf of all the patients we serve, I wish you all a very Merry Christmas and all the best for 2011!